In just a few years, bees have moved from being viewed as a mild annoyance in the summer to possibly being the savior of our natural world. For this, it is only natural that they have their own video slot that comes in the form of Wild Swarm, an apian-themed and multi-feature game from Push Gaming. One thing that Push Gaming took note of, and which many other game providers are yet to see, is that there is an extremely high demand from players for highly volatile slots. Because of this, the developers ventured out of their comfort zone with Wild Swarm, offering a slot with more potential than most of their rivals and it appears to work! Any time you place a bet in this game, all that you need to do is decide what the total stake is and take a spin of the reels. You can place bets that are between 0.20 and 100 coins on each round. The wins in this slot are nothing short of outstanding, with top wins delivering up to 30 times your total bet or 600 times your line bet, which works out to 3,000 coins per line. In the base game, if you manage to land a bee symbol anywhere on the reels, a bee flies into the hive. In its place, you are left with a honey symbol. If the hive reaches its full level of 5 and another bee symbol lands on any of the reels, then you may see the hive exploding and the Swarm Mode is triggered. In the Swarm Mode, a number of sticky wilds are added to the reels, plus 10 free spins are awarded. Plus, if you get any more sticky wilds during the free spins, these also remain in their place until the end of the free spins round. It takes a fair amount of gameplay to trigger the Swarm Mode, so you need to be patient and keep your balance healthy with other wins, till you get there. Wild Swarm features four lower-value symbols which are the wooden K, Q, J and A symbols. The high-value symbols within the game are the flower, honey pot, and the queen bee. There is also a honey coated dollar symbol, which is the highest paying of them all, giving you up to 30 times your bet if you land a 5 of a kind combination. 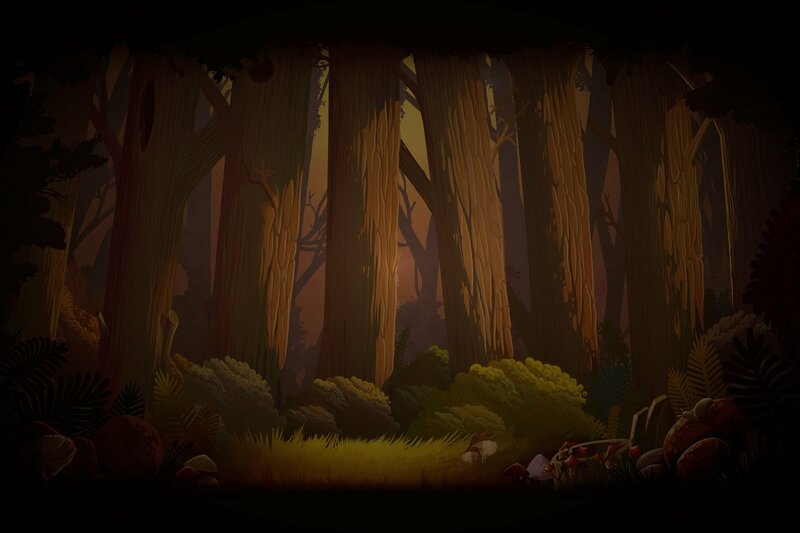 In addition, the game has two kinds of wild symbols. The first one is a traditional wild which may appear anywhere within the base game, and the other is a sticky wild that you will find only during the free spins or swarm mode. The first “bonus” type game that Wild Swarm offers is the pick feature. At random, a chest symbol can land anywhere. You are then presented with 5 hidden instant prizes, which can be coins, free spins or bet multipliers. The big multipliers can be a real game changer, especially if you pick one that is 50X or 75X your total bet. This bonus round doesn’t come by often, but when it does, you can rack up some serious cash. When you land 3 or more of the hive scatter symbols on any position within the Wild Swarm reels, then you get between 7 and 14 free spins, depending on the number of scatter symbols. Free spins may also be triggered when you win them as a prize in the pick game. When playing through your free spins, any of the sticky wild symbols that land in any position will stay in that spot until the free spins are played through. These sticky wilds really boost your winnings during the free spins. 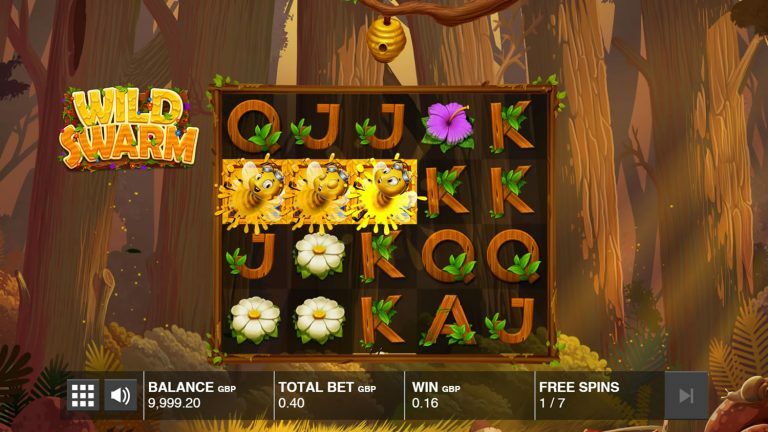 Wild Swarm slot does not feature any fixed or progressive jackpots, but the impressive return to player, generous multipliers and free spins rounds, more than makeup for it. With 20 paylines on Wild Swarm, you will have plenty of opportunities to cash in on some big wins. This game offers you a higher-than-average Return to Player of 97.03%. Wild Swarm is highly volatile, which means that you may have to play a fair amount between wins but, when they come, they are well worth the wait. Wild Swarm is a game that you will certainly enjoy playing, thanks to the high-quality graphics, animations and sound effects as well as its intuitive layout. As we mentioned already, you will need to be patient for the bigger wins, but it may be worth it when you consider that this slot has one of the highest RTP rates out there. The only minor criticism we have is why the developers committed more than half of the play area to the background when playing on a desktop, instead of making the reels and rows bigger.